Your passengers won’t just be able to book via the app and over the phone, they’ll also be able to visit your own website and book online too. 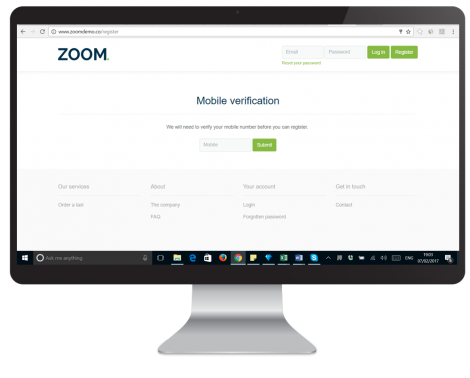 Just add Zoom’s booking widget to your existing website. It’s all quick and easy, and all branded with your logo. On your website, your business customers will also be able to log in to their accounts to see journeys and expenses. You’ll keep the paperwork down, and you’ll give your customers the information they want. 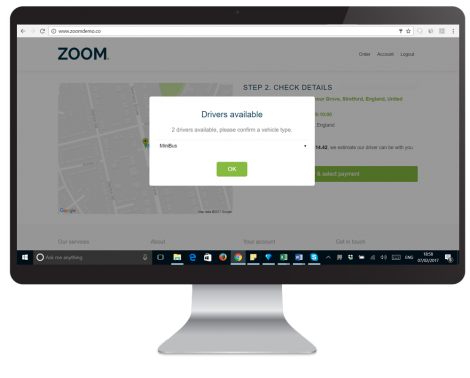 Zoom’s website booking app is available on our bespoke pricing plan, so why not start your 6 week FREE trial today and experience the Zoom difference for yourself. 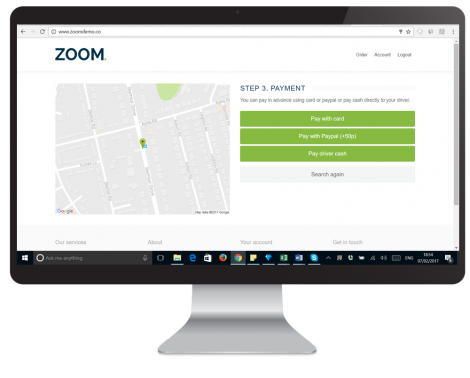 Imagine if you could give your customers the Zoom experience, branded with your own logo. That’s exactly what a Zoom website makes possible. 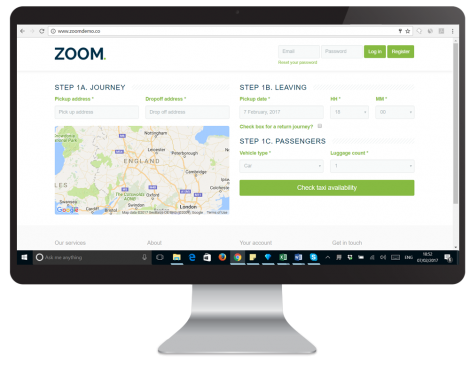 We can create your own customised website for you, so your passengers can book journeys easily, and find all the information you need. It could make it easier for customers to find you, and help you grow your business. Can I have a customised website? Yes. We can either create a website for you on a new domain, or we can use your existing one. We can also provide an iframe which can be integrated on to your website, whether you want the entire page or just the booking panel. In what ways can customers pay from the website? When a customer has booked through the website, they are able to pay using cash, card or PayPal. If they have chosen cash, they simply hand the money to the driver at the end of their journey. If they have chosen card or PayPal, the payment will occur automatically. Will customers who don’t use the app be updated about their driver? Yes. They will receive a text which will confirm that their driver is on the way. The ETA will have been given to them when they booked the journey. How simple is it to use the booking website? Very. Customers need to have logged in and registered, but after that they simply need to enter a few journey details, then submit their request. The intelligent algorithms will do the rest, with no more intervention needed from the customer or an operator.